What Is Wing Chun Kung-Fu? Resilience Wing Chun Melbourne continues a 300 year old tradition of Chinese martial art training. Wing Chun was first made famous in the west by the late martial arts film star Bruce Lee in the 1960’s. Along with western boxing and fencing, Wing Chun formed the foundation for Bruce Lee’s Jeet Kune Do system. Wing Chun is characterised by its short, efficient movements and an emphasis on close quarter fighting. According to legend, Wing Chun Kung-Fu was founded in the Qing Dynasty by Ng Mui, a Shaolin Buddhist nun. The original purpose of Wing Chun was to quickly train a revolutionary soldier in a simple, direct, no-nonsense system of hand-to-hand combat. Wing Chun kung-fu classes are therefore ideally suited to the realities of modern-day self-defence. They teach simple, practical, self-defence that is easy to learn, and does not require superior physical size and strength to be effective. Below is a short clip demonstrating the compact economical movements of the first wooden dummy set and some practical applications of the techniques. How Does Resilience Wing Melbourne training Work? A short warm up to promote circulation, gently increase flexibility and joint range of movement. Coordination drills to refine technique. Touch sensitivity training, or ‘chi sao’, to improve speed, timing and contact reflexes. Reality-based tactical exercises for self-defence and street survival. Wing Chun specific strength and conditioning training. Meditation and Qigong exercise to promote health and energy flow (chi). Understanding the psychology of violence and conflict resolution. My journey with Wing Chun Kung-Fu began over twenty years ago. I was 19 when I first nervously walked in to take a trial lesson with Sifu Dana P. Wong at Grandmaster William Cheung’s World Wing Chun Association headquarters in Melbourne. At that time, Sifu Dana was the chief instructor at the Melbourne academy. I didn’t know what I was hoping to get out of my training way back then. I was leading a typically debauched lifestyle as an undergraduate Arts student, and I was aware that I needed to do something to get a bit healthier, fitter, and establish some much-needed self-discipline. My initial decision to give Wing Chun Kung-Fu training a try was in part influenced by my university studies at the time. At university, I was pursuing a philosophy and literature major. I had studied a little of both Buddhist and Taoist philosophy, and both traditions of thought had resonated strongly with me. Generally, the Chinese martial arts are solidly grounded in both these philosophies. Hence, Wing Chun kung-fu classes seemed like the logical choice for me; a choice that would keep me both mentally and physically engaged, and one that I would hopefully stick at without quitting. Sifu Dana’s dedication to his students and to the art of Wing Chun Kung-Fu was immediately apparent. When Sifu Dana provided a necessary technique correction or insight, his interest in your understanding was compelling. Your progress really mattered to him, regardless of your ability or talent. Sifu Dana brought an enthusiasm and passion to his classes that was incredibly contagious. You immediately got the impression that there was nothing else in the world that he would rather be doing than sharing his love of martial arts with you. The generosity and passion with which he shared his knowledge was truly humbling. Needless to say, I caught the Wing Chun training bug. What started off as a casual once a week curiosity soon became an all-consuming obsession. It wasn’t long before I was training obsessively, attending four kung-fu classes per day, and pretty soon my university studies began to take a back seat. The following year I dropped out of university to devote all my effort and time to Wing Chun Kung-Fu training as a full time student. 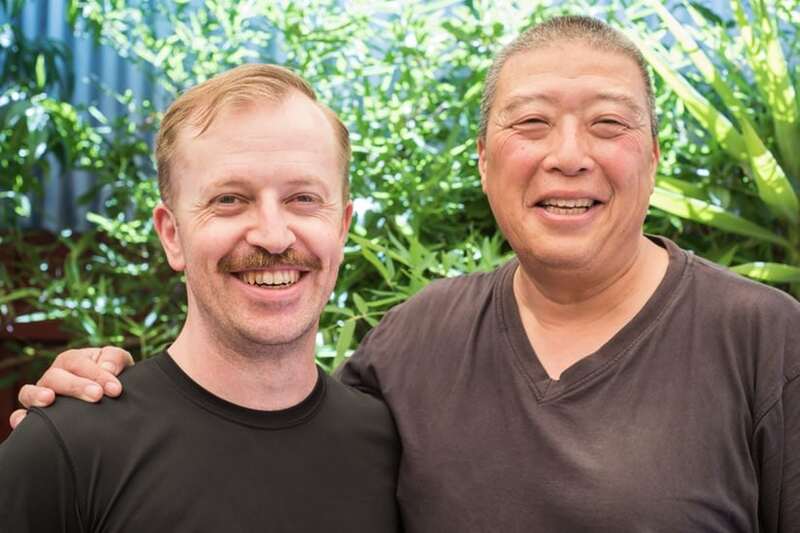 A year later, I was accepted as an assistant instructor by Sifu Dana and began teaching some of the daytime kung-fu classes at the Melbourne headquarters. Since those early days of training with Sifu Dana, my martial arts training journey has taken me in many interesting and varied directions. I have trained extensively in Western Boxing, Yang style Cheng Man-Ch’ing lineage Tai Chi Chuan, Filipino Kali (stick and knife fighting), and competed in full contact Muay Thai. However, Wing Chun and its core principles have always informed my practice in each of these different arts and are still very much the focus of my training today. Studying these other martial arts styles, in addition to ten years of working security in nightclubs, has given me a unique perspective on Wing Chun application. I have tested my Wing Chun technique in a variety of different situations and training environments over the years. The insights that I have gained from these experiences have been hard earned. My knowledge has come at the cost of numerous injuries, and I have on more than one occasion eaten a double helping of humble pie when testing a theory that I thought I understood in a realistic situation. 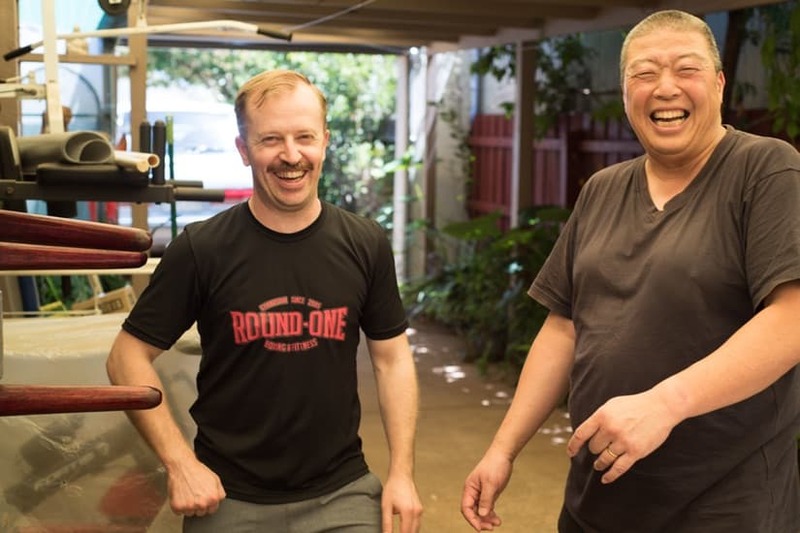 I still train with Sifu Dana every week to keep my skills sharp and am now focusing my attention on the Foshan lineage of Wing Chun that he currently teaches. I believe that Wing Chun should be taught first and foremost as a practical system of self-defence and close quarter combat. While remaining true to the traditions of the art, I have adopted a ‘no-nonsense’ approach to teaching. This approach is informed by real combative experience and a thorough knowledge of modern-day, scientific, evidence-based training methods. 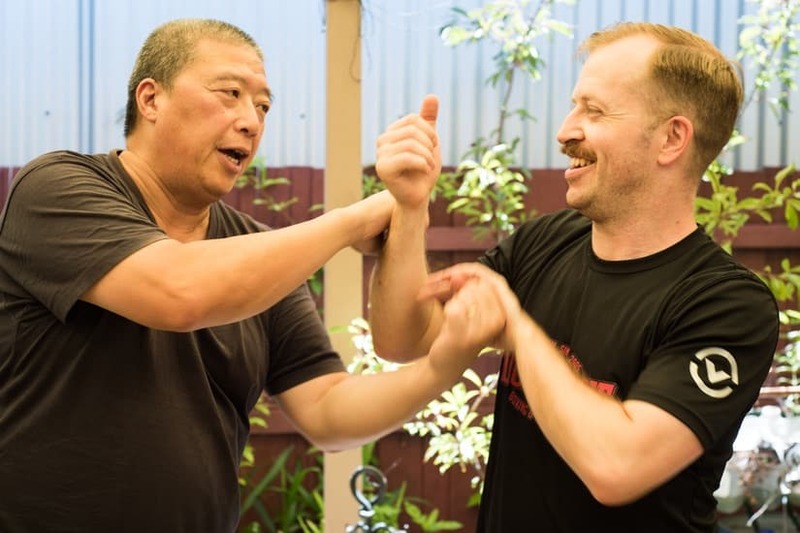 Is Training at Resilience Wing Chun Melbourne Right For Me? ‘Kung-fu’ literally translates to ‘that which takes time.’ Wing Chun Kung-Fu classes have much to offer that is of immediate practical and physical benefit, but much also that rewards decades of study and practice. Students often remark that ‘the reasons they chose to take up Wing Chun in the first place are very different to those that have motivated them to continue years, and even decades later.’ The conceptual nature of Wing Chun Kung-Fu thinking and training encourages the cultivation of a resilient mindset that is honest, welcomes change, and embraces adversity as an opportunity. Group self-defence classes in Wing Chun are held on Tuesday and Thursday evenings at 7pm, and Saturday mornings at 10.30am. Wing Chun classes run for 90 minutes. Book online here or contact Chris Gauntlett to book a free trial session. Numbers are limited and bookings are essential.